Your Personal Psychic Reading with Niki Stewart will be channelled and shared with you clearly and accurately. You will know the truth with matters that are important to you Now and in the Future. I provide readings for all matters of the heart and your love concerns. With personal relationships I will share deep insight into your partners feelings, real intentions and the future of your relationship. I also provide psychic readings for your career direction and higher destiny. Click on the icons below now for further details on my psychic reading by phone, e-mail or on-line in my private reading room. Call Toll Free now 1800 705 8411800 705 841 from Australia or for my full list of International Toll Free numbers simply click “View International Numbers” below now. 2 Questions Answered Comprehensively By E-mail. Your e-mail reading will be presented in rich full color and can be saved for future reference. Your Psychic Reading will take me 24 – 48 hrs to complete and e-mail to you. Ask No Questions – Direct Me To Open Channel A Comprehensive Psychic Reading For You. Your e-mail reading will be presented in rich full color and can be saved for future reference. Your Psychic Reading by e-mail will take me 24 – 48 hrs to complete and e-mail to you. Psychic Reading By Online Chat. Choose your psychic reading with me on-line in my private reading room. Your on-line reading will last for 45 minutes. Use my international appointment scheduler to choose your appointment time. Get 30 Days Psychic Text reading Support as needed. 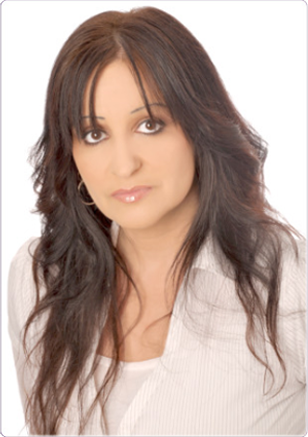 Up to 3 psychic text readings per day as needed (Monday to Saturday) live with Niki Stewart. Get fast answers right at your fingertips when you need them for all complex day to day situations.